The Brave Heart Bracelet is a symbol of strength and connection. Each bracelet is hand crafted for you with gemstones, sterling silver hearts and a signature silk Shi piece. 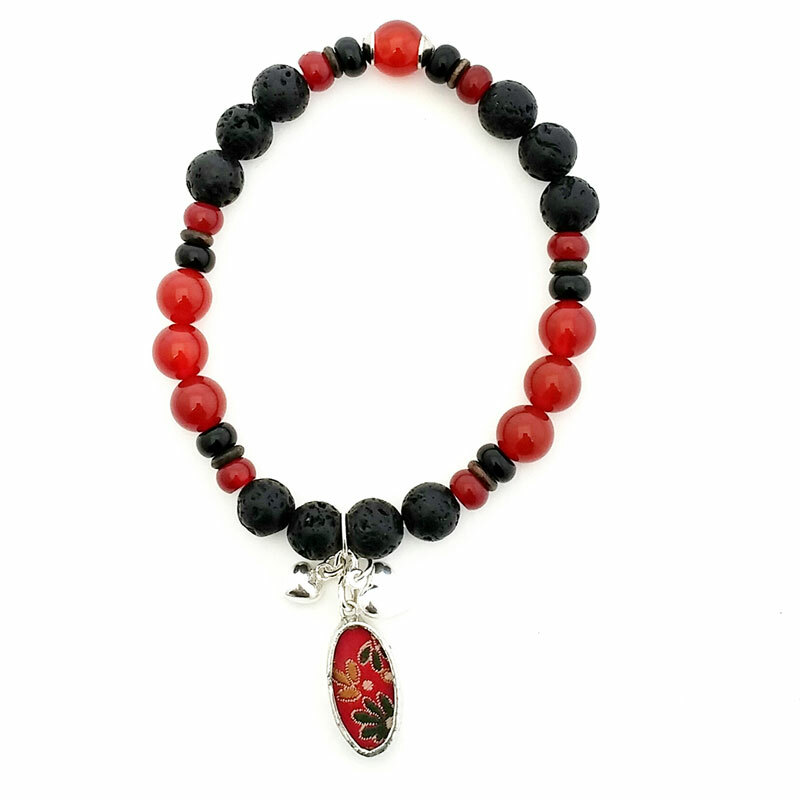 This Bracelet is an ongoing offering, with 10% of every sale going the the Victoria Sexual Assault Centre. The Victoria Sexual Assault Centre is a pillar of strength in the community; it is a feminist organization committed to ending sexualized violence through healing, education, and prevention. The bracelets are all one of a kind so exact bead type and positioning will vary. Each gem stone has its own properties, energy, and symbolic meanings that can be used for emotional healing, growth, and guidance. Every Shi Studio Gem Stone accessory comes with its own symbolism card to explain its specific qualities and symbolic meaning. Standard approx 7 inches. Custom sizing available. When custom making your bead bracelet we will best match the beads we have to what is pictured.